Do you want to try out the web-based DataLion software yourself? 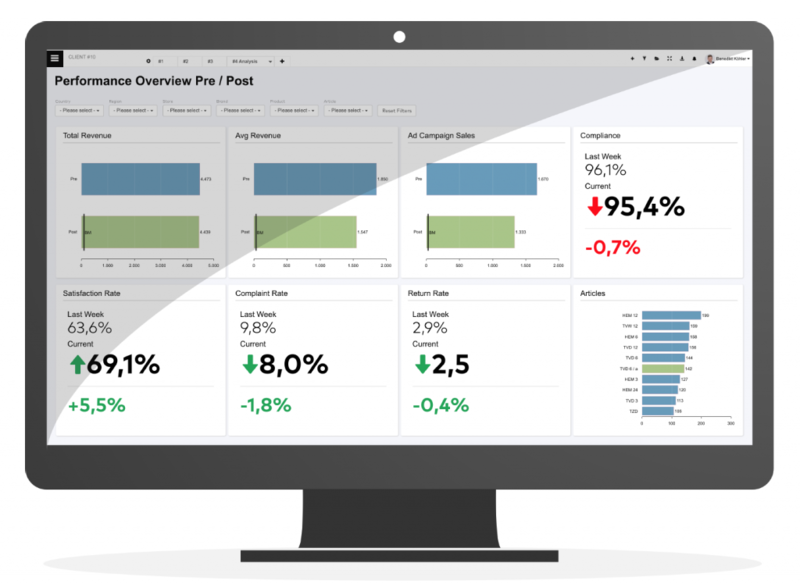 We’d love to take you for a test drive with our dashboard software: After the registration below, our customer success team will contact you for a short introduction via web conferencing. Afterwards you will receive your free DataLion test account and you can start right away. PS: If you send us a dummy (or real) data set, we’ll even set up your first dashboard with your own data. Note: Your privacy is important to us. DataLion uses your information to contact you regarding relevant content, products and services. You can unsubscribe from any communication on the part of DataLion at any time. You can find more information about our privacy here. Or do you have a support question? Then click here.